Sister Hazel Biography, Discography, Music News on 100 XR - The Net's #1 Rock Station!!! This Alternative-Rock Pop-Rock quintet from Gainesville, Florida USA, was formed in 1993 by lead singer + acoustic guitarist Ken Block, lead guitarist Ryan Newell, acoustic guitarist Andrew Copeland, bassist Jeff Beres and drummer Mark Trojanowski. The guys released their self-titled debut album in 1994 on the independent label Soul Trax receiving a lot of attention around the college circuit; the record was essentially a collection of demo-songs that the group used to get gigs and eventually, they started selling at gigs as well. The fivesome has never been far from the road and their consistent, regular touring has only helped to grow their fan base, they eventually signed a contract with Universal Records and in early 1997 they released their major label debut LP, "Somewhere More Familiar"; it included two Modern Rock top 40 single, "Happy" and "All For You", the latter of which peaked at #11 on The Billboard Hot 100 and soared to #1 on the Adult Top 40 chart pushing the album to #47 on The Billboard Top 200. 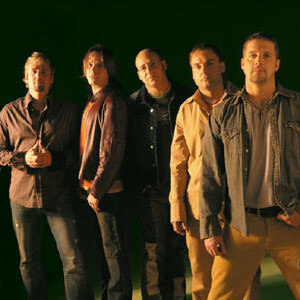 Three years later Sister Hazel resurfaced with its third LP, "Fortress", which debuted at #63 on the U.S. Top 200 Albums chart highlighted by the single "Change Your Mind", it stormed the Billboard's adult alternative charts and hit the #59 position on The Billboard Hot 100. Their fourth album, "Chasing Daylight", their first effort since the band split with their label Universal, was issued by Sixthman Records in February 2003 reaching the #6 spot on the U.S. Top Independent Albums chart; it barely made a ripple on The Billboard 200 list generating the Adult Top 40 hit "Your Mistake". A new independent LP, titled "Lift", followed a year, but the album didn't spawn any hit singles and stalled only at #184 on The Billboard Top 200 chart. Over the next two years, the band recorded over 70 demos, then went into the studio with three producers to record the thirteen tracks that would become "Absolutely", their sixth album included the single "Mandolin Moon". Sister Hazel returned in June 2007 with "Bam! Volume 1", a collection of B-sides, live demos plus rare bonus tracks. While remaining a member of the group, one and a half years later, Ken Block released his solo debut album, "Drift". 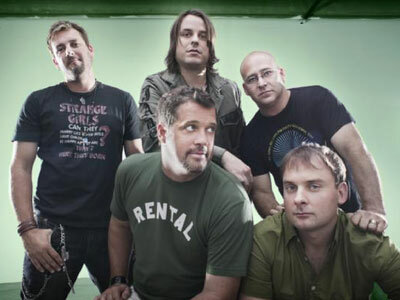 With over 2 million albums sold, a devoted fan base and strong touring, Sister Hazel returned in August 2009 with a new album entitled "Release" which features 12 brand new songs including the Triple-A radio single "Take A Bow".